It’s hard to look anywhere without seeing Frozen. Frozen clothes, music and toys have invaded our lives, so I say why fight it? Let’s join in the Frozen madness. 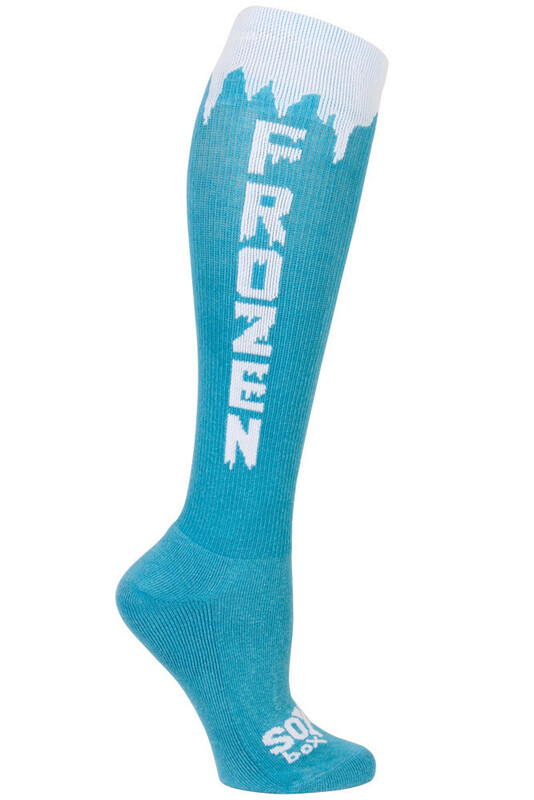 What better way to keep my feet toasty warm than with these New Women’s Frozen Running Socks! I am seriously loving them. Because seriously, I feel Frozen every time I walk outside here in Alaska!! And while we are on the topic of of awesome running socks from SoxBox, check out these Hot Mess socks I just love. Be honest, we all have those days when these socks say it all. Oh, and remember to use Promo Code SAVE10 to get 10% off of all orders. Disclosure: SoxBox sent me running socks to review, including Hot Mess, although I didn’t receive Frozen – I just love those! Links within this post may contain affiliate links that I earn commissions from. Example, if you click on the above link and purchase anything from that site I make a small commission, no matter what you purchase. This is how I pay for my travels and this blog. Thank you for supporting me! So I have ENORMOUS calves and normal knee socks tend not to fit me. How do those compare? I always see runners in such cute socks and I’m always envious.